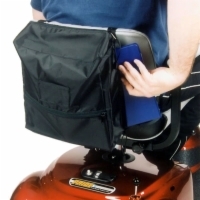 Seatback bags for nearly any mobility device are available. 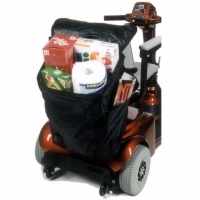 These bags give you storage space from around that of a book bag to enough to carry groceries or laundry. Quickly compare products by checking the "Compare this Product" box on the products you are interested in and then click the "Compare Selected" button. Contains one large compartment for everyday use. 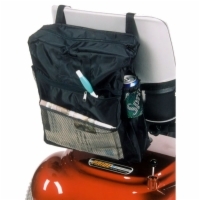 Contains one large compartment with zippers on top and the sides for easy access. Has an additional back zippered pocket. The largest seatback bag available. Carries anything from laundry to groceries. 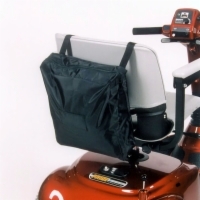 Includes a metal frame that allows you to leave the bag in the open position. Contains multiple storage compartments to help keep your things organized.